THUNDER Since his return to Asgard with Loki in tow as his prisoner, Thor had been avoiding visiting his brother in his cell. He felt conflicted about the whole ordeal and that was an emotion that he did not like. Thor prided himself upon knowing right from wrong; it was all very black-and-white to him. No shades of grey. Don't kill innocents, don't take over realms that haven't yet wronged you for fun or for a show of power; it was all simple common sense. But, as Thor had come to see, when his brother was involved it really wasn't all that simple. Despite what the Midgardians might think about Loki, Thor just couldn't bring himself to think about him in the terms the humans did. He wasn't evil and he wasn't a monster. He was someone who'd made a mistake, albeit a very large one, and was now paying the price. But what Loki did was wrong and Thor wasn't sure if he'd ever be able to look at him as he had before. A troubled sigh left the prince's lips, resounding in the empty room. Heaving himself up, Thor walked out of his chamber and headed towards the chambers of his parents. He knocked on the door loudly and waited for a second. "Mother are you there?" he called through the oak door. "I would like to speak to you upon a matter..."
Frigga had been reading one of her favorite novels at a table near the balcony of her and Odin's chambers, her soft green eyes scanning the pages. Casually waving her hand from time to time she would flip the page and continue on reading, one of her favorite hobbies. Working with magic and reading was what she did in her free time when she wasn't ruling a kingdom along side her husband Odin. Her reading was broken off by her eldest son's voice resounding through the oak doors of the room. Glancing up she smiled softly and lightly shut the book, rising up to go answer the door. Grasping the golden handles she pulled the doors open, the color matched the golden dress she wore that day it was her color truly. "Hello Thor, please come in." Ushering him in she smiled warmly and sat back down at the table near the balcony. "How might I help you son? What is the problem that ails you.." Her voice was colored with concern, of course she fretted about her children as any loving mother would. THUNDER He waited silently until she came to open the doors. He smiled at the sight of her. 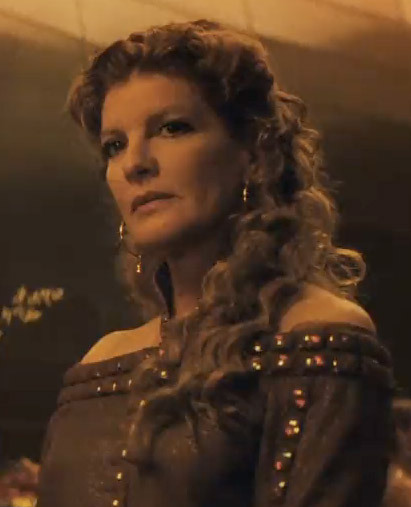 Queen Frigga, unlike Thor's father, had the ability to calm him and put him at ease even without saying a single word. It was one of the things that he loved so much about her. She was the wisest and kindest woman he had ever met and he understood quite clearly why the whole kingdom loved her as they did. "I hope I am not interrupting," he said, following her to the balcony. He knew how tough it was to run a kingdom and she deserved some relaxation time to herself. He stood standing for a long moment, thinking upon how to voice his thoughts and worries. Finally he sat down and looked at his mother. "I am conflicted. About Loki and what he's done..." he told her, breaking off and letting the sentence hang in the air as he once again gathered his thoughts, swallowing the lump in his throat. Opinions on Loki's deeds where mixed on Asgard and it was an extremely delicate subject to be broached, especially amongst the family. "If I forgive Loki, it means I have to accept what he has done, which I cannot. He killed innocent people. He set leviathans on Midgard. But I cannot continue being mad at him - he is my brother." He looked at her, for a moment before looking down at his hands. "I...I do not know what to do, or what to think any more..."
Frigga smiled at his concern and gave a gentle shake of her head. "No no you were not interrupting anything, just a bit of light reading is all I was doing." She replied, hoping to brush his concern away, he could speak to her any time he wished she was never too busy for her children. Hearing his troubles made the Queen frown lightly, she thought it must be hard for Thor as he is Loki's brother to deal with what he had done but of course not impossible. Raising a hand she lightly touched his cheek, bringing a smile to her lips. "Thor, my son, perhaps you should forgive Loki but remind him that what he has done won't be forgotten." she offered and gazed at him with soft sympathy. Both of her son's had such conflicts and most of the time with each other, it weighed heavy on Frigga's heart to see them at such odds with one another. He sighed quietly and rubbed the back of his neck. "Surely, it isn't that simple, mother." He said softly, uncertainty flickering in his blue gaze. He needed to know what he was doing was right. He couldn't be making any missteps. He leaned against the wall, silently regarding his mother. "Mother, is there nothing else you can recommend?" He queried, hoping she had a different answer for him. He didn't think he could forgive his brother just yet. He had hurt the very people that Thor had sworn to protect and he'd killed scores of people... and for what? Limitless power? However appealing it was to Loki, he couldn't easily forgive such a crime. As if that wasn't bad enough, Loki had even conspired to overthrow their father, a man whom Thor had grown up respecting. Sure, he acted arrogant and hardheaded prior to his banishment but that was the old Thor. The new Thor was much more humble and receptive.